In roughly 2 weeks, Philadelphia based producer and songwriter Noa Spott is set to release his first album as ivoryHAUS, his downtempo electronica alter-ego. Having written and performed a variety of other musical styles, he’s found himself in a place in his life where he is too content to be writing aggressive and angst filled tunes. Now, he finds himself feeling pretty damn happy and the chill music that fills the self titled debut is a result of the positive vibes that fill his days. Spott was born and raised in the Pocono mountain region of Pennsylvania, a couple of hours North of his current home of Philadelphia. It was there that he became a diehard music fan. Raised in a home where hard rock was the primary soundtrack, his early musical inspirations were bands like Nirvana and he’s played a variety of rock oriented instruments since a relatively young age. It was when he was given a MIDI pickup for his guitar, a new era of musical exploration began. From this point forward, he became a big fan of electronic music. Combining his now long-honed craft of making digital music with his ability to play guitar, bass, drums and keyboards, the music is wonderfully layered and the songwriting is well-developed. Scott’s talents are on full display, both in composition and performance. The 8 song release is powerful and emotive from start to finish. The songs vary some in style and tone, but can safely be grouped into the genre typically called “downtempo” or what I like to call “chill music”. It’s soothing and relaxing, often evoking a strong desire to contemplate life and all that encompasses it. While the album opener “Orange Sky” is the song that is most stuck with me at the moment I write this, all of the tracks have been in that place from time to time over the past few weeks that I have been listening to the album. 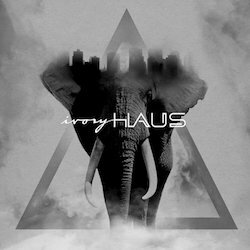 Over the Summer, Spott has released two ivoryHAUS singles from the album to give folks a taste. Below, you can check out both. The first single is “Clouds”, which was released in July. The hip hop/trip hop drums and soaring piano provide the framework for this track. There’s a beauty and simplicity to the track that is hard not to get lost in. The second single is “Sweet Dreams”. Released earlier this month, the track opens with a somewhat tribal beat that opens up into a darkwave style synth backing ala the Stranger Things theme. On top of this bakground, you get another beautiful piano melody. With each movement, the track seamlessly moves into a slightly different feel. Soemthing about this one feels extremely uplifting.